In case you haven’t heard, the Republicans had a strong showing in the 2014 midterm elections. They now control both houses of Congress with majorities that they have not seen in decades, setting off the next phase of an era of unusual turmoil in Congressional politics. * The natural question is how this will affect politics and policy, including foreign policy, in the final two years of the Obama administration. I wish I had an answer. He may mean it sincerely, and it will mark the beginning of a new era of bipartisan cooperation and progress. He may mean it sincerely, but the Democrats will refuse to cooperate with him. He may mean it sincerely, but he will change his mind when he discovers the nature and extent of the compromises necessary to reach agreement with the other party. He may mean it sincerely, but he will be unable to control other Republicans in the Senate (not to speak of the House). He may not mean it at all and hopes only to lay the groundwork for later accusations that the administration is responsible for the expected lack of progress. Endless combinations of the above are also possible. The record to date has not been one of cooperation. ** Key Republican members of Congress met in January 2009, at the time of Obama’s first inauguration, to map out how they could obstruct the administration. Since then, Republicans have generally refused to cooperate in drafting legislation — all the while insisting that it is the Democrats who refuse to cooperate with them. They have also filibustered nearly every administration bill and nomination. They have even been known to filibuster their own bills and amendments. (Filibusters, which require 60 votes to overcome, may kill a bill and always cause automatic procedural delays. )*** Although this is unprecedented, they seem to have convinced many journalists that requiring a three-fifths majority to pass something in the Senate is normal, or even a Constitutional requirement. They do all this with full knowledge that the American public will blame the president for anything that goes wrong, even if the reason for the failure is actually to be found in Congress (or in foreign countries or acts of God, for that matter). Has the new situation in the post-2014 Congress changed McConnell’s incentive structure in this regard? Well, arguably, yes. With Republicans finally in charge of both houses of Congress and with Obama term-limited, the incentive to disrupt is not the same. The 2016 presidential election is on the horizon, and Republicans should be eager to show that they are capable of governing effectively. That, however, may not necessarily require cooperating with Obama. Republicans could try to build a reputation by cooperating with each other to pass bills that reflect solid, well thought out Republican policies, even if Obama refuses to sign them into law. That could even be advantageous in 2016 when they argue for the need for a Republican president. And, in fact, cooperating with other Republicans to produce something real and positive would actually be an improvement over their record during the past six years. Are there pressures that actually work in the opposite direction, toward continued disruption? Yes, again. Many Republicans will look at this new victory and conclude that confrontation works for them; they will be reluctant to shift tactics. The newest members all ran campaigns in which the overwhelming theme was opposition to Obama and everything that he represents (or their interpretation of everything that he represents); at least some of them will consider it a betrayal of their voters to turn around and cooperate at this point. 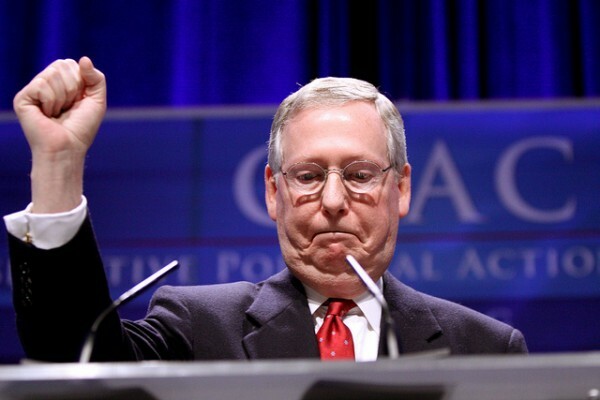 (Tea Party activists have already expressed bafflement at McConnell’s conciliatory remarks.) And while some senators considering a presidential run (a Rob Portman, perhaps) may see the value of developing a reputation for reasonableness, others — perhaps more focused on the primaries than the general election (Ted Cruz comes to mind) — seem to draw the opposite conclusion. Also, the mere fact that the balance of power between the parties has been so evenly balanced in recent years means that the prospect of gaining (or losing) power in the next election is always a real possibility, which in itself creates an incentive for the parties to distinguish themselves from each other, not to cooperate on common goals. Cooperation was easier in eras when people generally knew well in advance which party was likely to win and could do little about it. The prospects of cooperation are also reduced by the fact that the parties these days are so ideologically uniform internally and distinct in relation to each other. Indeed, the new Congress will be even more polarized than the last. The “red state” Democrats who just lost were among their party’s most conservative members, shifting the remaining Democratic caucus further to the left, while the newly elected Republicans will shift their caucus even further to the right. How does this affect foreign policy? When it comes to domestic policy, most presidencies achieve their greatest accomplishments, if they have any, early in their first term. After that, they are often compelled to spend their time implementing and readjusting those early achievements and fending off an increasingly uncooperative Congress. It is a common pattern. As domestic breakthroughs become harder to achieve, especially if the president survives into a second term, the administration’s focus shifts increasingly to foreign policy. It is part of the common wisdom of American politics that foreign policy is “easier” because the president has more leeway — that is, less need to rely on the cooperation of Congress — than in domestic policy. Thus virtually all presidents — who generally rise to their positions through the domestic side of politics — are destined to discover on their own that foreign policy often relies on the cooperation of foreign countries, international organizations, transnational movements, and other entities, and that those don’t do as they’re told any more than Congress does. Despite the common assumption that it is the president’s domain, this time around some Republicans have expressed their intention to influence foreign policy from Congress. Certain things are easily done from Congress, such as boosting the defense budget. Otherwise, it is generally easier for Congress to create constraints and prohibitions on presidential action than to compel a president to do a particular thing that he does not want to do. Closing the internment center at Guantánamo is an administration goal that Congress has already squelched. Yet the objectives that Republicans have mentioned recently seem to involve less “reshaping” of policy and more taking credit for things that are already happening. Perhaps the most curious example concerns policy toward the Islamic State in Iraq and Syria (ISIS). The recent campaign was filled with, frankly, irresponsible warnings concerning the threats from ISIS and Ebola, and Obama’s alleged failure to deal with them. If things continue as they are, the Ebola threat, at least within the United States, will be resolved before the newest class of Republicans can take their seats. Regarding ISIS, it appears very likely at this point that Congress’s response will be to pass an authorization to use military force (AUMF) that essentially endorses Obama’s current policies. Changes to policy may be limited to increases in the amount of aid already scheduled to go to certain Syrian rebel groups. If so, Republicans may assert that they forced Obama to do what he was only pretending to do, or they may focus attention on the purported significance of relatively minor changes, or they may feel obliged to compensate by picking another area in which to differentiate themselves. Policy toward Iran is frequently listed as a priority, and Republicans have little faith in Obama’s ability to overcome Iranian cunningness in ongoing nuclear negotiations. 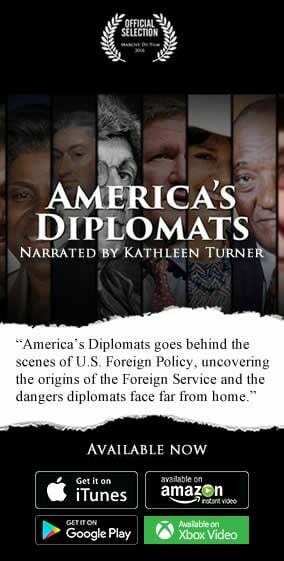 (Adversaries tend to be seen as cunning, and for some reason conservatives tend to see them as more cunning than American diplomats.) The risk here is that the Senate would refuse to ratify any treaty unless it meets unrealistic conditions tantamount to unilateral Iranian capitulation, thus preventing any deal whatsoever, as if no deal were a desirable outcome. The Obama administration plans to avoid the situation by negotiating an executive agreement with Iran. The main difference between an executive agreement and a treaty is that the former does not require ratification by the Senate. In return for Iranian concessions, Obama would agree to suspend economic sanctions rather than eliminate them, which would require action by Congress. This would actually be advantageous, since the possibility of ending the suspension would give Iran a continuing incentive to abide by the agreement. Such an approach, however, is bound to increase tension between the president and Congress, and there is likely to be pressure for increased sanctions regardless of what Iran agrees to. A number of analysts see trade policy as the rare example of an area of possible cooperation. Obama has been negotiating two large multinational trade treaties, the Transatlantic Trade and Investment Partnership (TTIP) and the Trans-Pacific Partnership (TPP). Democrats in Congress suspect that the treaties could lead to the further displacement of jobs, and Majority Leader Harry Reid failed to hold a vote to grant the president the fast-track trade authority that is usually necessary to get such agreements through Congress. Republicans tend to favor such treaties, seeing them as boosting the economy overall. This has a potential for success, but Tufts University’s Dan Drezner points out that obstacles could still stand in the way. First, Republicans may refuse to move on anything that voters will interpret as the president’s success and choose to wait until after the next election before taking any action. Second, seeing this as something the president wants, Republicans may try to use it to extract concessions in unrelated policy areas over which they have less leverage, so the outcome could depend on the importance of those other areas — whatever they may be — to the president. *The Democrats controlled both houses of Congress for most of the years from 1933 (1931 in the House) through 1980. (The exceptions were 1947–48 and 1953–54, with the Republicans controlling both houses for a single term each time.) The Republicans then controlled just the Senate from 1981 through 1986. Both houses were under the Democrats from 1987 through 1994, the Republicans from 1995 through 2006 (although Democrats controlled the Senate from mid-2001 through 2002), and the Democrats from 2007 through 2010. The Republicans then gained control of the House in 2011 and of the Senate as of January 2015. **There have been few exceptions. Three Republican senators voted for the stimulus in 2009. Three Republican senators worked with Democrats on the Affordable Care Act, but they eventually dropped out of the negotiations and voted against the bill. (Their contribution is still in the law, even though Republicans claim that they were never consulted on it.) In the months after Mitt Romney’s defeat in the presidential election of 2012, the Senate passed a bipartisan immigration reform bill, but the House Republicans refused to vote on it or pass a bill of their own (for fear that it might be merged with the Senate bill in a conference committee). A more notable exception was a bipartisan bill to reform the Department of Veterans Affairs, which passed earlier this year. ***In November 2013, Majority Leader Harry Reid unilaterally reduced the required cloture vote for nominations to offices other than that of Supreme Court justice from 60 to 51, a simple majority. Cloture for legislation still requires 60 votes. The automatic delays still apply in either case. Now, of course, Republicans will be able to stop administration bills and nominations without a filibuster.